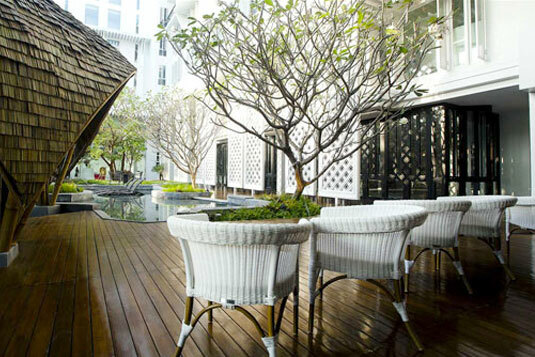 Gone are the days of calling or sending enquiry ahead to a hotel for a reservation. 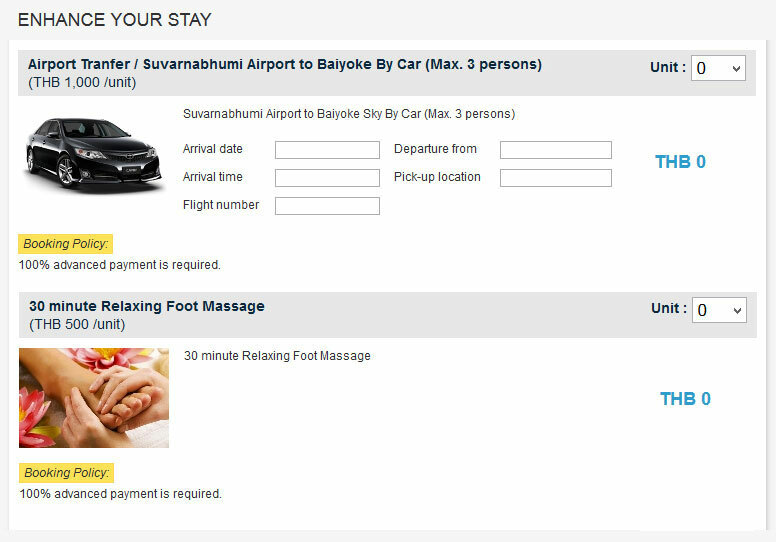 Baiyoke hotels have developed a latest hotel reservation system to help direct guests find saver hotel deals and able to get an instant confirmation of room and addition services within a few clicks. See how it all works below! Find the hotel reservation box. Enter in the dates you are requesting. Click on the calendar icon to bring up a calendar. You must do this for the date you are arriving and leaving. Once the calendar box pops up select the days you will be traveling. Go to the number three box and type in the number of rooms you require. Next, select the number of adults and children. **If you travel more than 3 adults, select at least 2 rooms. Then click "Check Availability" button! Or you can click on the top right of every page and out the search criteria later. 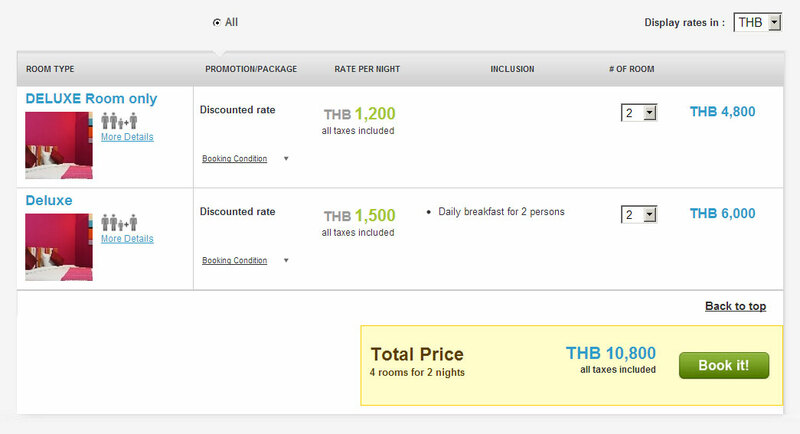 The rate options (hotel promotions/holiday packages) are displayed per night for each room category. 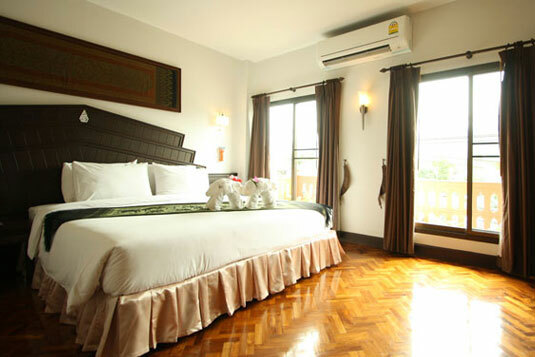 You will also easily compare what each room rate includes differently. 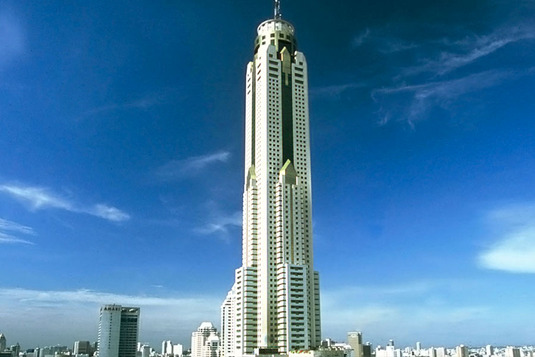 If you search for 1 room…just click on your preferred hotel rate & room option. If you search > 1 room: the display will automatically be changed to enable you to book many rooms and rates at one-time reservation by changing “# of room”, a total price at the bottom of page will change and click to proceed the next step. 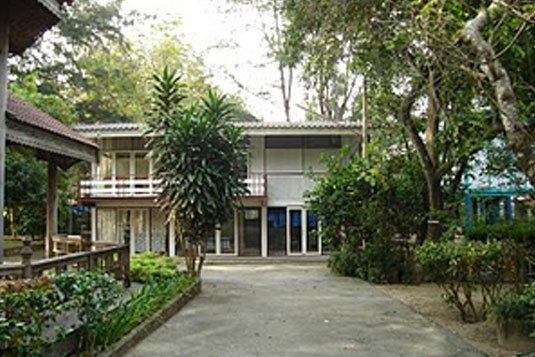 Provide your name, country of passport and special request (optional). **If your chosen rate includes airport transfer, you can provide your arrival flight number and arrival time in the “Special Request” box. 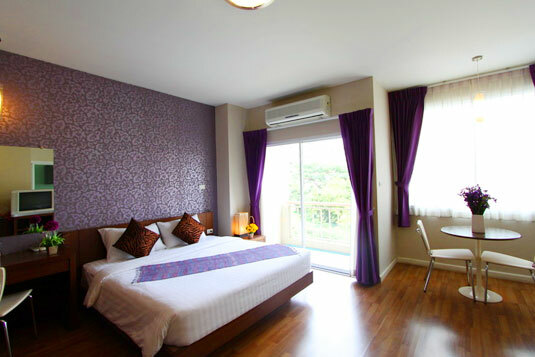 Not only room you can reserve online, but also other services like “airport transfer, Bangkok buffet, spa, massage, dinner and etc.” to make your stay here more pleasant. Fill your contact, payment and billing information and agree to the hotel policy so information can be sent to you, then click . 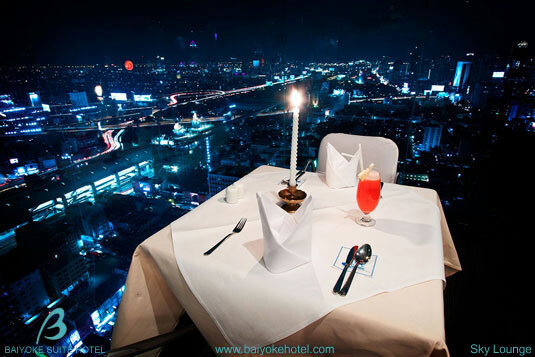 *note: You’ve two options; advance payment or just credit card to guarantee the reservation. 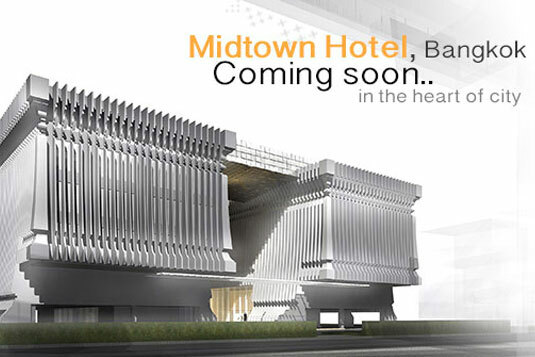 The first case, Guest will be redirected to hotel's online payment gateway. *note: Our online hotel reservation system is secured by "digicert trusted" technology. 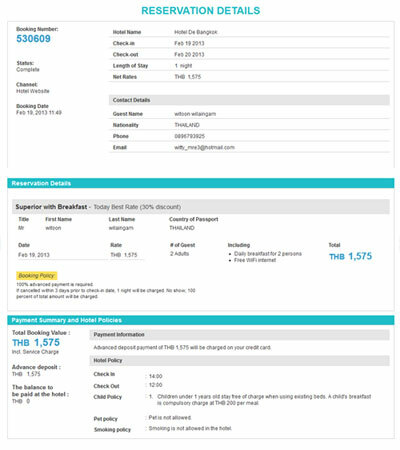 Guest can print this page as a hotel confirmation voucher. 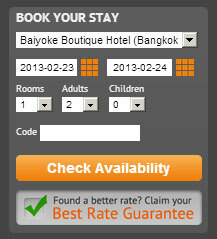 At the same time, our hotel booking system also automatically sends this hotel reservation confirmation to your email.